This past week, a celebration took place at Graceland to honor the life of Elvis Pressley who died 36 years ago on August 16, 1977. Thousands attended the event that has been a tradition every year since Elvis passed away. People from all over the world make a special pilgrimage to honor the man known as the King of Rock n Roll. People of all ages listen to Elvis Pressley’s music as it continues to be played by DJs all over the country. The fan base of this legend is faithful to keep his memory alive. Their faithfulness has transformed Graceland from his home to his shrine. It is not unusual for shrines to be built to honor special people. We have the Lincoln Memorial, the Washington Memorial, 911 Memorial, and Holocaust Museums. These places are visited by millions every year and what they take away from their visit is a sense of knowing the person or people of whom they just honored. Not much hoopla is given to everyone. Ordinary people leave this earth without being noticed by the press but broken hearts are still left behind. Parents that loose children anguish over their deaths and sometimes become desperate to keep their child’s memory alive. Some will create memorial funds, foundations and gardens. If you see a sign on a road in your neighborhood with a name on it that says Adopt a Highway, it is most likely the name of someone’s child that does not want him forgotten. 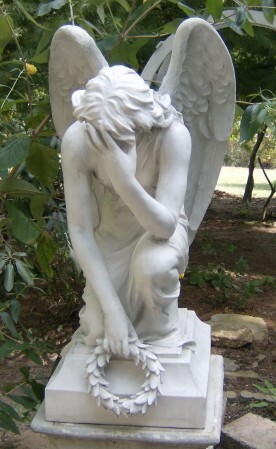 A problem faced by most bereaved parents is that people can understand the creation of memorials and foundations because most of the events surrounding those efforts are conducted once a year, but what becomes unacceptable is a daily mention of the deceased child’s name. It is at this point that parents experience the backlash from well meaning people that their continued mention of their child is just proof that they have not moved on and need to just let it go. Why is it that we can run to Tennessee to see a mansion owned by a rock star on the anniversary of his death but not mention our child’s name without repercussions? Why is it that we can honor those who died on 911 and build memorials, but to talk about our children is off limits? There are cases where workers complained about parents who talked about their deceased children and were fired for disrupting the workplace. Complaints have been levied against bereaved parents because they had their deceased child’s picture on their work desk and it just “freaked” people out. Work place incidents of insensitivity toward bereaved parents are an everyday occurrence causing some to quit their jobs. A group of women were sitting around during their lunch break talking about their children. One lady mentioned that her daughter just started dance classes. Another mother chimed in and said, “My daughter Joy took dance too. She was so good at it.” The other mother continued on to say how her daughter loved the color purple and she just re-decorated her bedroom in purple. Others began to discuss their children and their favorite colors. Finally, Joy’s mother said, “I remember Joy dancing at her first recital. She smiled the whole time through her routine.’ The other mother’s looked at each other until one of them said, “You know Mindy, maybe it’s time you move on. You should see a counselor to help you get past your daughter’s death. Talking about her all the time will not bring her back.” Needless to say Mindy left the room in tears. Think about what took place and ask yourself these questions; if you lose a child, do they cease to be your child? Why is it wrong to talk about them? If you think that every parent should “move-on”, what is the time frame; two months, six months, one year, more? How long would it take you to stop talking about one of your children if you lost them? How long before you could put away your memories and not celebrate your child’s life? How long before you think the pain and anguish of losing one of your children would cease? Bereaved parents were once you. They are parents that never thought they would have to bury their child. They don’t ask for your pity, just understanding that you recognize their need to breathe their child’s name, and have someone listen to the stories that are now tucked away in their hearts as memories. Every person’s child is worth remembering just as much as rock stars, politicians, or victims of mass tragedy. If it is ok to talk about them, it is ok to talk about Joy. This entry was posted on Sunday, August 18th, 2013 at 5:00 pm and is filed under Grief. You can follow any responses to this entry through the RSS 2.0 feed. You can leave a response, or trackback from your own site.